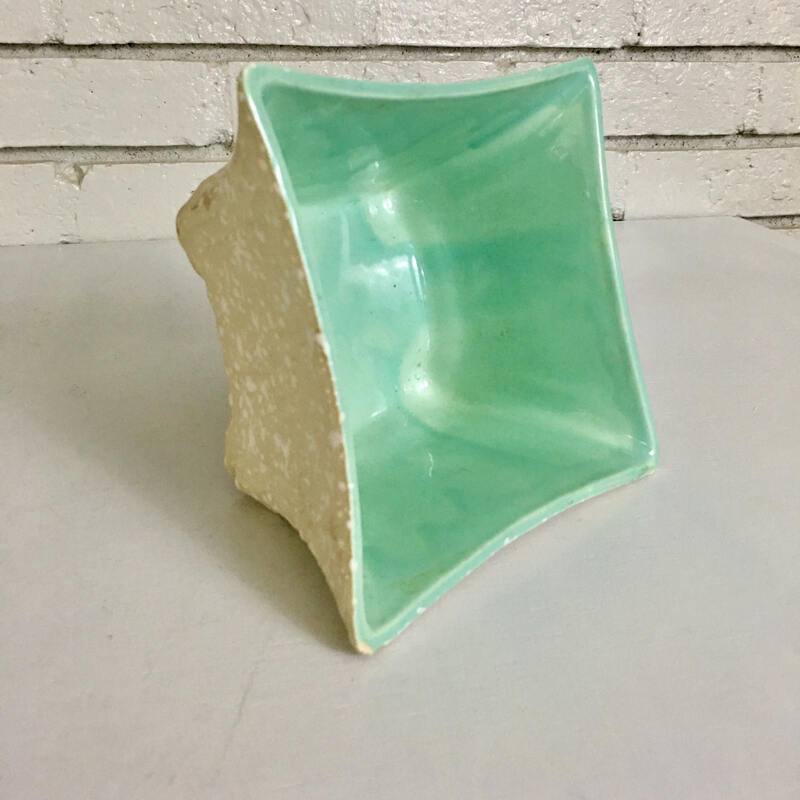 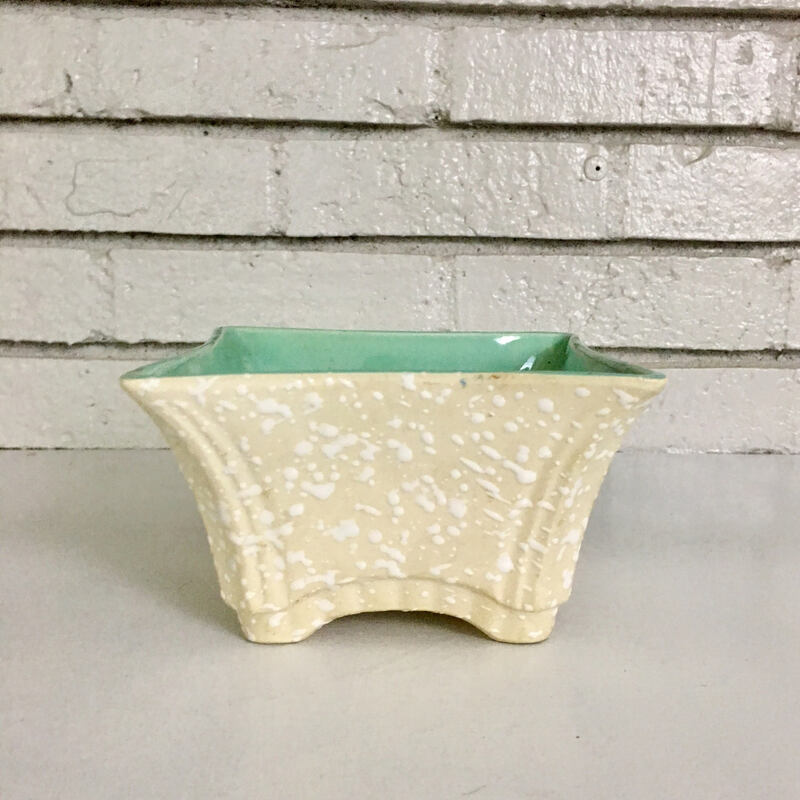 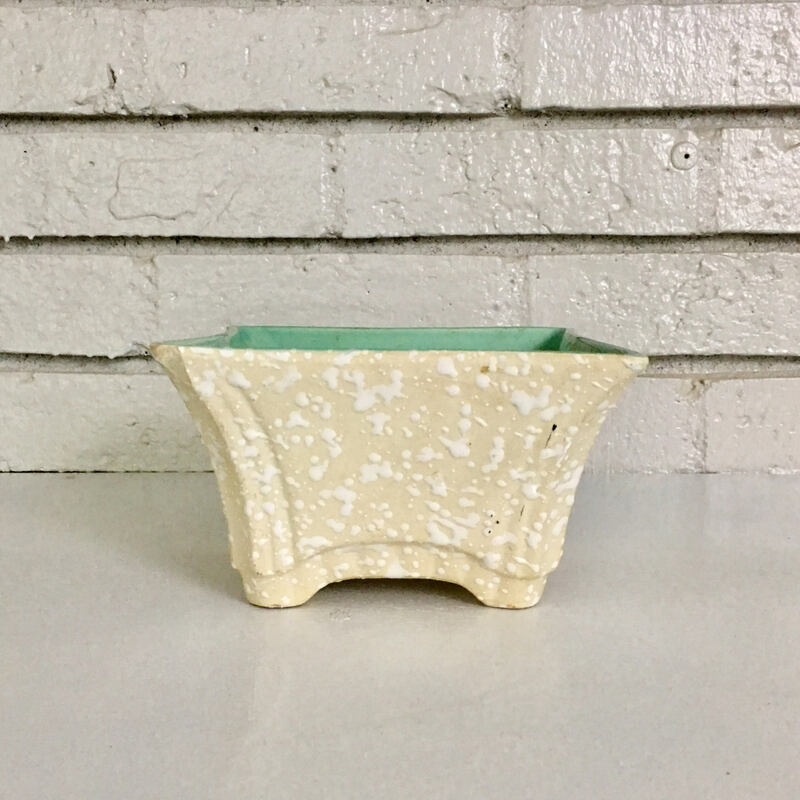 Vintage pottery fluted and footed planter - interior glazed in a drippy turquoise and the outside in an ivory and white terrazzo finish. 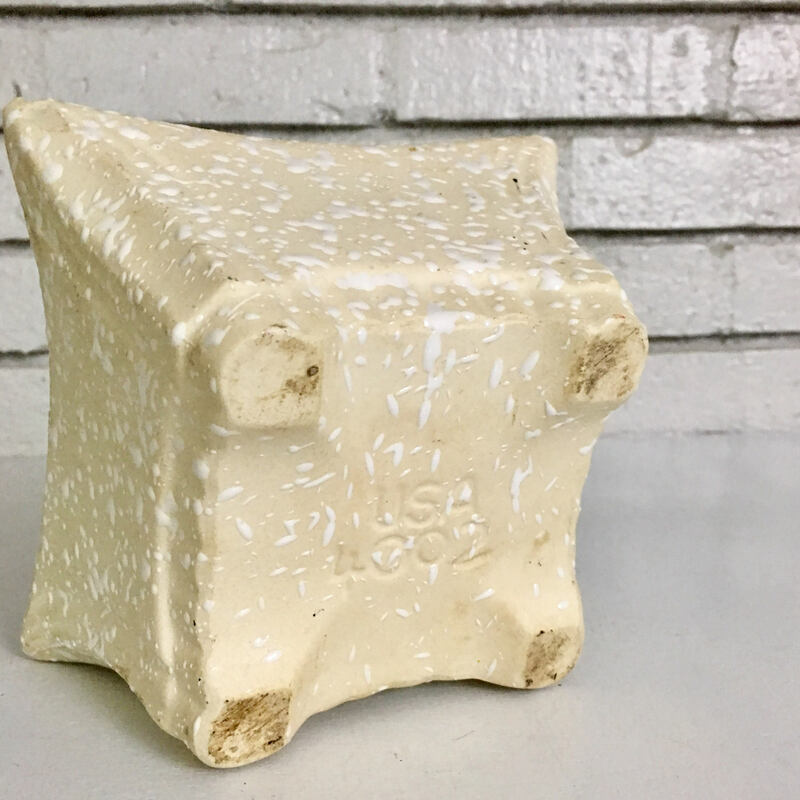 There is a small chip on one corner and a couple of black markings. 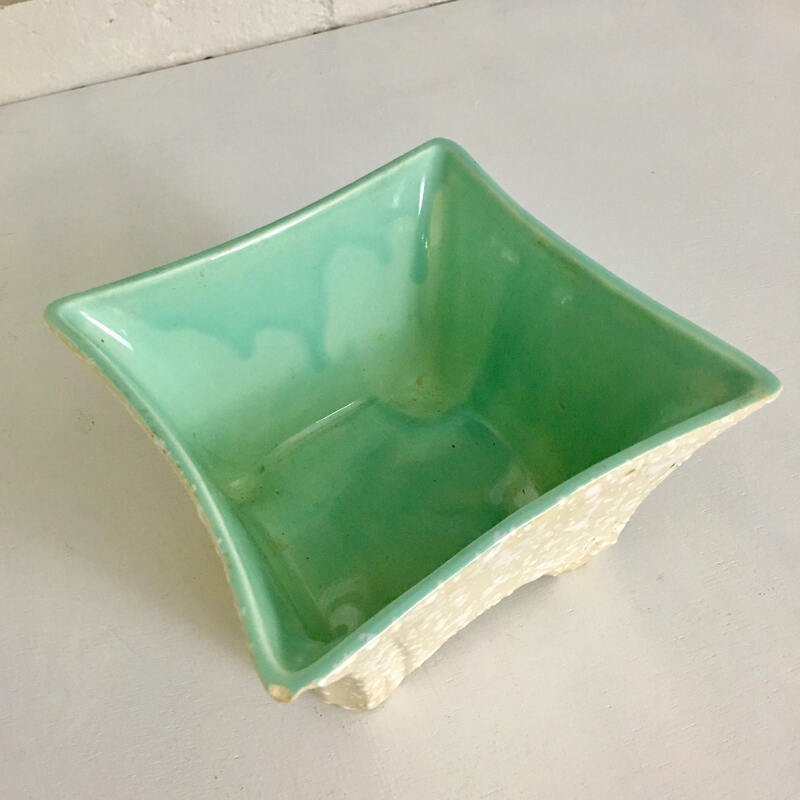 This would be so sweet filled with succulents and gifted to a new parent or homeowner OR sitting on your desk on your window sill. 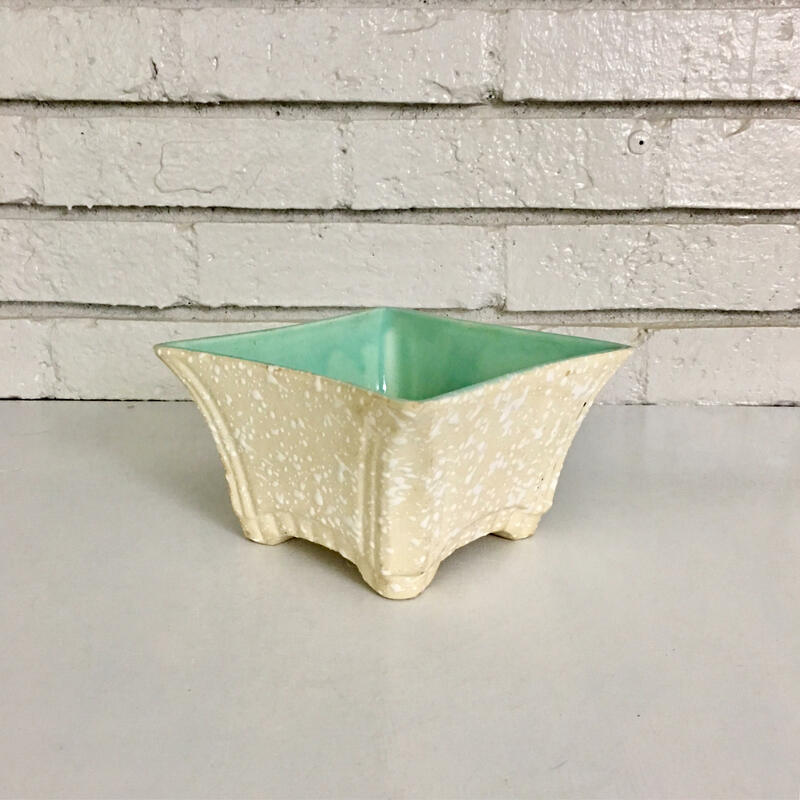 Lovely little piece of USA collectible mid century pottery!